Aidy Bryant is a star. That was my top take away after watching the six episode first season of her new Hulu series, Shrill. Bryant is a star, and, to top if off, Shrill turned out to be a really solid dramedy (although, at no point in the season, was Bryant's character ever actually shrill with anyone). Having said that, I do think Shrill won't be for everyone, and there will certainly be those who don't like the story, characters, or message of the series. But, after a shaky premiere episode (that doesn't really do much beyond introducing us to the main players), the series begins to soar as it focuses more on Bryant's Annie and less on her relationship with the fine, but pretty boring, Ryan (Luka Jones, doing his best to portray a dud of a character). But I'm getting ahead of myself. Shrill is the story of Annie, a gifted writer who is trying to make a name for herself at her job while juggling everything the modern Millennial woman does: a strained relationship with her mother, dating disappointments, trying to achieve her personal and professional dreams. Oh, and she's also fat (Annie's weight and body image are a central plot point throughout the season, which is why I bring it up). 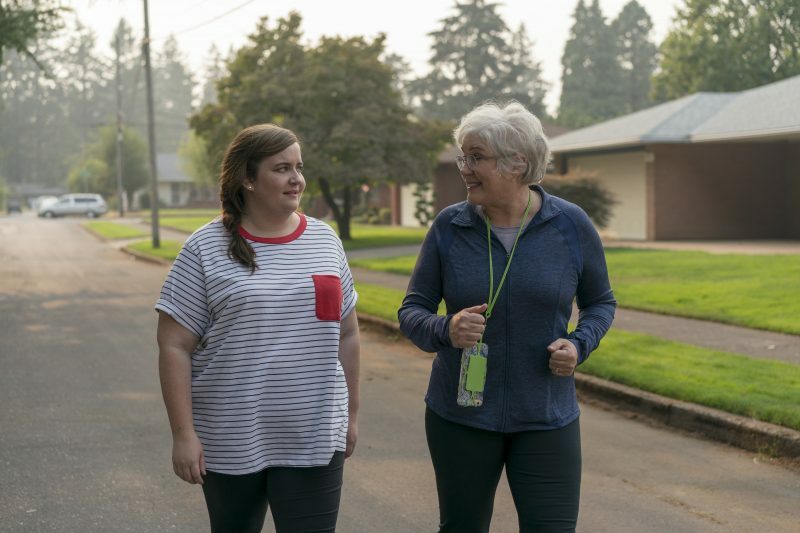 While the series hits on the various facets of Annie's life, her weight is the constant link between them, from her mother (played beautifully by SNL alum Julia Sweeney) trying to get her to try the latest diet she's on, to her boss forcing the entire office to participate in a Saturday bike ride (which isn't directed at Annie, but is a key plot point of a crucial episode). Lest you think the series is just people in Annie's life commenting on her weight or attempting to make her ascribe to their definition of "healthy" or "attractive," the central conflict of the series is that Annie is content with who she is. She doesn't particularly want to eat tasteless food on her mother's diet. She would rather spend her Saturday with her roommate at a spectacular pool party than riding bikes with coworkers. What the series makes clear is that it's pretty ridiculous that so many people in her life seem to have an opinion about how Annie spends her time, while they don't seem to care how her more svelte acquaintances do. Hell, her on-again/off-again boyfriend Ryan isn't exactly Thor, and no one comments on his physique like they do about Annie's. It's pretty eye-opening to see the double standard at play, particularly when these comments and observations come from those who claim to care about Annie the most. Shrill is a smart, complex series that isn't afraid to tackle an issue that is often played out for laughs on lesser shows (or treated as a one-off teachable moment). 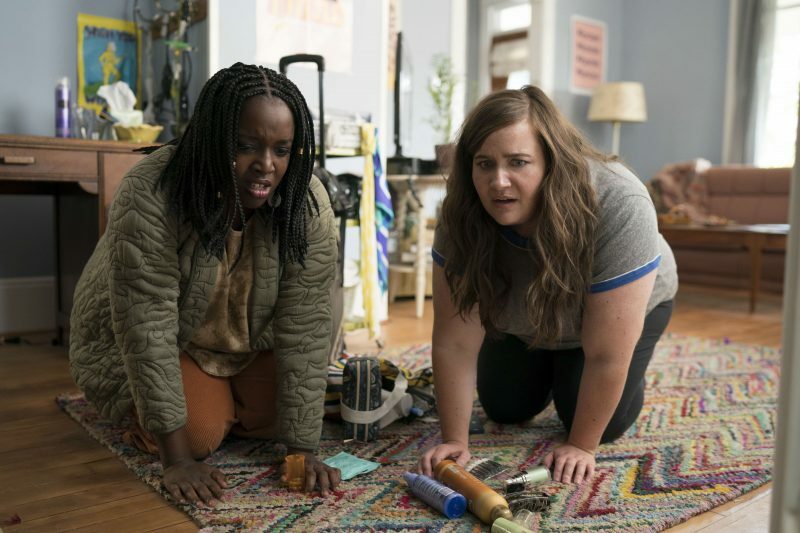 The series is adapted from Lindy West's book "Shrill: Notes from a Loud Woman," and has an executive producer list that includes SNL's Lorne Michaels and Elizabeth Banks. The show drops on March 15, on Hulu.